4 Days Left to Register!!!! The Rubber Redneck STAMPede "Winter Wonderland" Edition 2011!!! I am supper excited to bring you the 7th Edition of The Rubber Redneck STAMPede!!! There is ONLY 4 Days left to register!!! The price is $24.99; that is under $2 per day for 14 projects, with PDFS and Video Tutorials!!! These projects can be simply changed out to use any product you have on hand!!! The 7th Edition marks the 1 year anniversary for The Rubber Redneck STAMPede Online Classes!!!! In honor of the 1 year anniversary I have a special promotion for you and your friends!!!! If you purchase the Winter Wonderland Edition 2011 Class, be sure to tell your friends. If your friends then purchase the class and list your name in the pay pal email I will give you a $2 credit towards a future class for each friend that purchases the Winter Wonderland Edition 2011 Class, up to 10 friends!!! This on-line class "Winter Wonderland" Edition 2011 is available to anyone 24 hours a day!! You can join from any place around the world!! All Customers and Demonstrators are welcome! Please note, this class is all in English. The chill is in the air and Winter is just right around the corner!!! Hurry and register for this "Winter Wonderland" event!!! The price is $24.99. Click the Pay Pal Button to register and take a walk with me in the Winter Wonderland!!! Please note upon receival of payment I will email you November 4th 2011 with your username, password and login instructions. If you would like a different email address used instead of your paypal account email please add the correct info in the notes of the PayPal transaction. "Winter Wonderland" Edition 2011 will be your creative inspiration for all your Paper Craft Gifts, Stamp Camps and Classes!! This class will be sure to help you with all those Winter, Christmas and Gift Ideas and for friends, family, and customers! We will be creating projects featuring some of the brand new products out of the Holiday Mini Catalog, as well as products from the SU Idea Catalog! You DO NOT want to miss this "Winter Wonderland" event! I've been busy creating and designing 14 days of FABULOUS Projects for you! Each project will have step by step instructions with photos in download-able PDF format along with video tutorials!! If you purchase this class you will have access to the projects and tutorials for 3 months from the class start date so you can learn at your own pace!! If you have purchased my past on-line classes this is the same great value that you are accustomed to! Certain projects and tutorials will be available for individual sale at a later date. There will be 3D items, scrapbook pages, cards, color combo challenges, techniques and best of all PRIZES!! That's right, all of this in 14 days for the "Fall Fest" on-line class!! WITH NO REPEATS!! Only current Stampin' Up! products will be used in these tutorials. Please note, I will be participating along in the color challenges. Anything I make for the color challenges I reserve the right to post to the public. Today I am sharing a card I created to play along with a Color Challenge in my Fall Fest On-line Class! 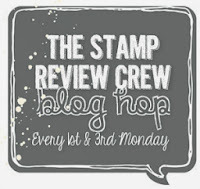 When I was really pouring through the Stampin' Up! Catalog I noticed that the Borderlines Stamp Set matched the Falling Leaves Stamp Set!! My base is Crumb Cake card stock. I took the Borderlines Clear Stamp Set; inked in Crumb Cake and stamped on the left side of the Crumb Cake card stock. I took the stamp from Falling Leaves Stamp Set; inked in Early Espresso and stamped it onto the Crumb Cake card stock. I cut a piece of Early Espresso and Peach Parfait card stock. Using the Mat Pack and Paper-Piercing Tool I pierced a row of holes down the left side of the Peach Parfait card stock. I cut a piece of Very Vanilla card stock. I took the Wonderfully Worn Background Stamp; inked in Crumb Cake and stamped it onto the Very Vanilla card stock. I took the 3/16 Corner Punch and round the upper right hand corner of the Very Vanilla card stock. I wrapped a piece of 1/2" Stitched Pear Pizzazz card stock around the left side of the Very Vanilla card stock. I then took the stamps from Falling Leaves Stamp Set; and inked them in the following colors Peach Parfait, Pear Pizzazz and Early Espresso. I stamped each leaf onto Very Vanilla card stock then cut them out and popped the up with a Stampin' Dimensional. I kept the inside really simple. I took the stamp from Borderlines Stamp Set; inked in Crumb Cake and stamped onto the Crumb Cake card stock on the left side. Thanks for stopping in! Have a great day!! !